The new Honda HR-V is a reliable subcompact SUV with excellent fuel economy and plenty of features and options at every trim level. 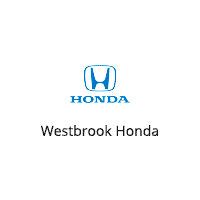 Browse our inventory to find a new Honda HR-V for sale at Westbrook Honda. In the HR-V you can also access available Honda Sensing® features like Adaptive Cruise Control and the Lane Keeping Assist System, so you can drive with ease on New Haven roads. When you are ready to experience the HR-V in person, check our new vehicle specials before contacting us for a test drive!